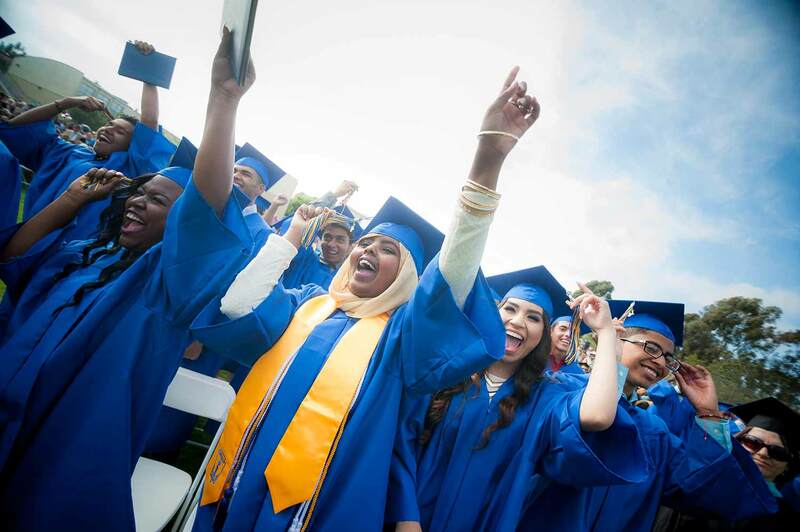 The Preuss School UCSD––a charter middle and high school for motivated, low-income students who strive to become the first in their families to graduate from college––has been named the top “change-making” school in the The Daily Beast’s “America’s Top High Schools 2014” ranking released today. The school was recognized for its ability to prepare low-income and first-generation students for college and beyond. Preuss was also ranked among the top 100 in the College-Bound category. In order to develop the list of change-making high schools, The Daily Beast took the overall ranking and multiplied it by the school’s free and reduced lunch rates, a leading indicator of socioeconomic status. The overall ranking for each school is based on indicators culled from school surveys to compare public high schools in the U.S., with graduation and college acceptance rates weighed most heavily. Other criteria included: college-level courses and exams, percentage of students with free or reduced lunch, as well as SAT and ACT scores – another mark of how well a school prepares students for college. This is the latest in a string of rankings for Preuss. Earlier this year, U.S. News & World Report named Preuss the best high school in San Diego County and the 5th best high school in California. In addition, The Washington Post named Preuss one of “America’s Most Challenging High Schools,” ranking it the 4th most challenging high school in California and 29th in the nation. Established 15 years ago, Preuss is located on the UC San Diego campus and is chartered by the San Diego Unified School District. More than 800 students come from throughout San Diego County to participate in a single-track, college preparatory curriculum and take advantage of an array of academic supports including tutoring, mentoring and counseling. Each Preuss student takes at least six AP courses in high school with many students taking up to nine or 10 AP courses. As part of the school’s model, students take advantage of a longer school day and school year, a key practice that is now gaining traction nationally as part of the solution to the country’s educational challenges. For more information on The Daily Beast’s “Americas Top High Schools 2014,”. For more information on The Preuss School.